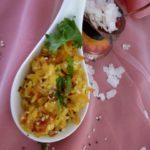 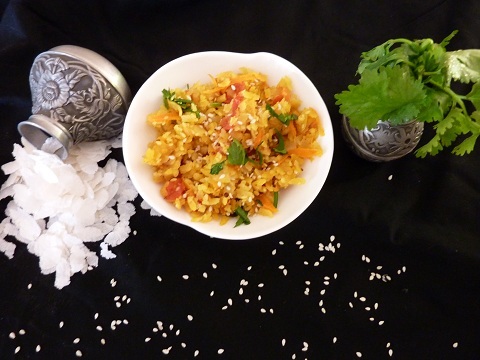 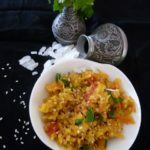 Poha (flattened rice – available at Indian grocery stores), Poha – is available in various thicknesses, and it is a very easily digestible form of raw rice and very popular across Indian households. 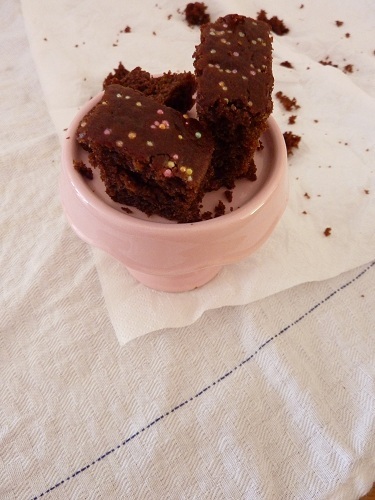 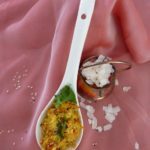 All it need to be “ready to eat” is some liquid – hot or cold and seasoning. 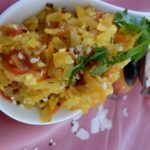 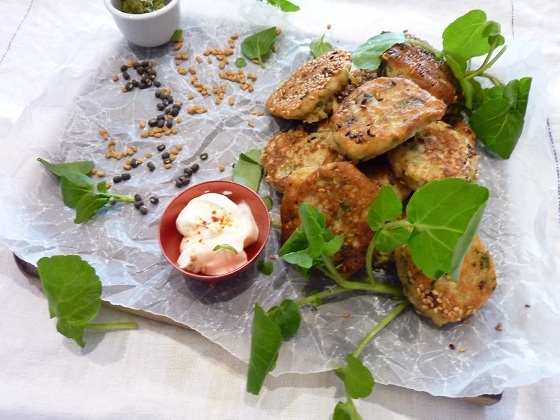 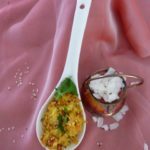 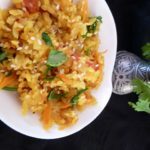 It is primarily used to prepare crunchy snacks, a south Indian dish called “Kanda Poha” (Onion Poha)or in light and simple fast foods and a variety of Indian dishes. 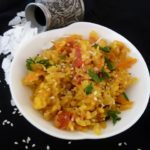 For the crunchy snacks, you would deep fry the Poha, flavour it with spices, add some fried nuts and ‘voila’ you have a perfect substitute for popcorn on the next movie night at home. 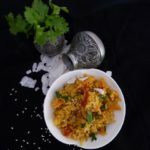 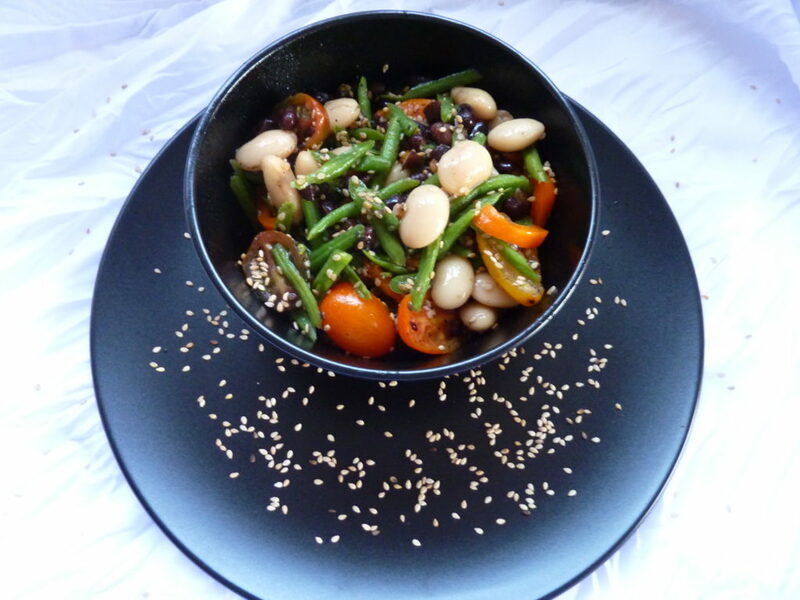 It can also be a well-balanced nutritious “Meal in One” for kids and adults – Poha (iron) + mix vegetables (vitamins, minerals and fibre), and sprouts, soya nuggets or peanuts (protein) + plus the added flavour of spices and herbs and you are good to go.